150 years ago this week, an important, but often overlooked, battle was fought in the American Civil War. It was the Battle of New Market Heights, fought September 29, 1864, on the outskirts of the Confederate capitol of Richmond, Virginia. It was important because it showcased a new strategy that Union General Ulysses S. Grant would employ successfully against Confederate General Robert E. Lee – a strategy that involved, in part, the use of African American soldiers. With 180,000 African American soldiers joining the Union cause in the last two years of the war, this was a significant morale boost for the Union, and a bad omen for the Confederacy. It was also an important battle for Ohio, as the victory was led by Ohio’s first African American regiment, the 5th United States Colored Troops (USCT) infantry. 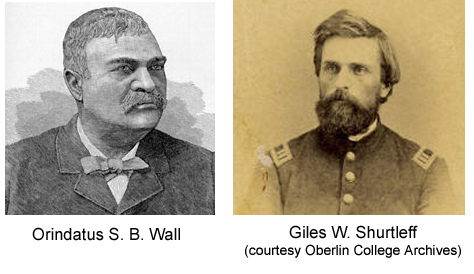 And it was especially important to Oberlin, whose influence and presence pervaded the 5th USCT. The Battle of the Crater appears to have finally convinced Grant of two things: the futility of storming heavily manned entrenchments head-on (with or without the help of explosive-laden underground mineshafts), and the fighting mettle of the USCT soldiers. So now he embarked on a new strategy in which the USCT regiments would play a crucial role. In late August, the 5th USCT was pulled out of the Petersburg trenches and sent to the banks of the James River on the outskirts of Richmond, where they were to prepare for an upcoming offensive. Grant was going to hit Lee with a one-two punch at both ends of his line simultaneously. The Army of the James would attack the northern end of the Confederate line at the heavily fortified but lightly manned outskirts of Richmond. 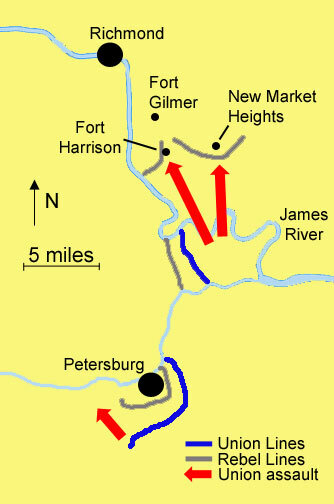 Grant hoped that they could gain a foothold on the James peninsula and draw enough Confederate reinforcements away from Petersburg so his attack at the south end of the line could succeed as well. 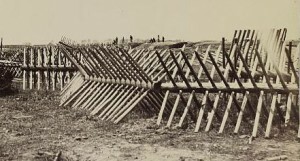 Butler devised a strategy for a two-pronged attack against the Richmond defenses, with the western prong (comprised mostly of white soldiers) attacking Fort Harrison, and the eastern prong (comprised of two white divisions and two black divisions) attacking a formidable position called New Market Heights. 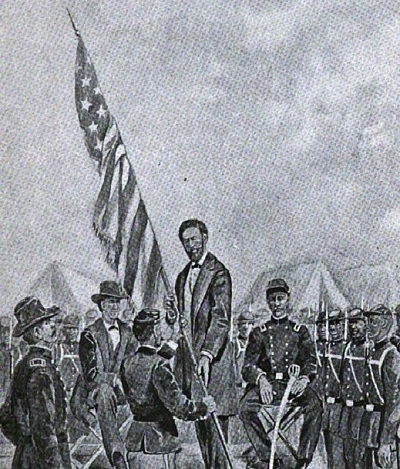 Shurtleff was one of several 5th USCT officers taken out by enemy fire. Four of the regiment’s ten companies suddenly found themselves without any officers to guide them. In such circumstances, Civil War soldiers would often break into panicked retreat. But four sergeants, all African American, now stepped up to take command of their leaderless companies and rally them forward. However such grit and determination, against such galling fire, would likely have resulted only in scattering the bodies of more USCT heroes over the battlefield if it weren’t for another concurrent development. *NOTE: It was reported that Governor Tod advised Holland that his promotion could be reinstated if he would deny his African ancestry. Holland refused. Two bills have recently been introduced in the U.S. House of Representatives (H.R. 3364 and H.R. 3412) to posthumously reinstate the rank of captain to this Medal of Honor recipient. 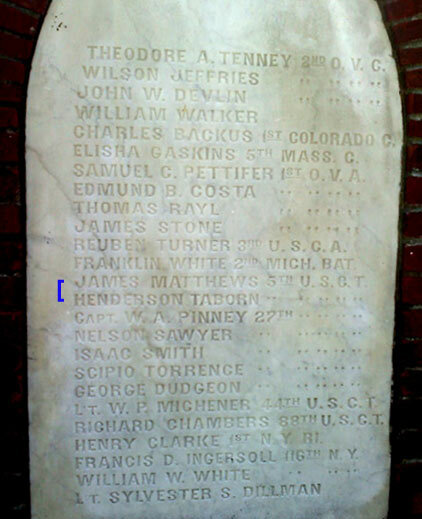 In my next and final blog in this Civil War sesquicentennial mini-series, I’ll tell the story of Oberlin’s own recipient of the Medal of Honor during the Civil War.